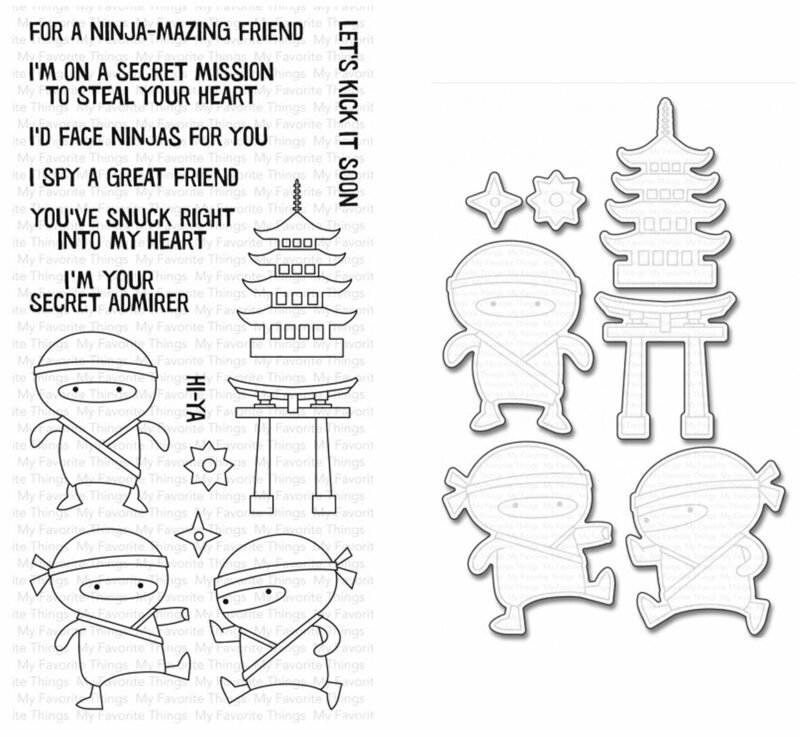 This Die-namics coordinates with the Ninja-mazing stamp set for perfectly sized die cuts every time. It is open inside to allow you to stamp then cut OR cut then stamp. This feature makes the Die-namics lighter weight and allows for easier removal from the die. This 7 piece set includes: Ninjas (3) measuring 1 5/8” x 2 1/8”, 1 7/8” x 2 1/8”, 1 3/4” x 2”, Pagoda 1 1/2” x 2 1/8”, Gateway 1 1/2” x 1 5/8”, Throwing stars (2) measuring 5/8”.